Work for SAP Business All-in-One? Learning about SAP Biz AiO? "SAP is heading in the right direction"
The ability to management all of the company's reports and data into one centralized location, while also giving less-technical employees the ability to run on demand reports via adhoc with a few simple clicks defining the parameters. This frees up many of the developers so they can focus on other request and task across the organization. There is only one concern, which is not a a deal breaker at all. For some reason Crystal Reports work really really well within SAP. However, since the technology is older, is hard to find skilled developers. The tool acts as the central reporting repository for the specific Line of Business of the company. By having one team in charge of all reporting and data needs for the company. This create less chaos and more accurate data, because it limits and governs all data aspects. "Use it on a daily basis"
What I like about SAP is that it allows me to save all of the T-codes that I use on a daily basis. What I dislike about SAP is that it can be pretty complicated to learn. As an entry level person, this tend to be brand new to those individuals so some sort of guide could be convenient. This may be implemented already but when I was entry-level I was looking for some sort of guide to find the basic stuff I need but was not able to find one. Now, as an experienced professional, I was able to be trained and practice until I was able to be fluent. The difficulty now is that I don't know every single detail about SAP so if I am training someone brand new it could be a little complicated to make it simple for them. Just a general guide would be great. A guide that explains each T-code and expression. Where to go to for help would be a good addition in the guide as well. Again, this may be available already. I jam just not sure where to find this information or who to ask about it. SAP allows me to check on all payments made and keep up with freight payments pending. If I see any pending payments, I am able to contact the scheduler and advise them that there are payments outstanding for approval. "A long journey for a small business"
The best aspect I like of SAP All-In-One is the ability to automate processes to keep manpower to a minimum. We are confident for when we grow, we won't always have to add more employees. The high cost of maintaining the system and high costs of third party add-ons, i.e. E-commerce, EDI, CRM, is what I dislike the most about the system. And, we are an extremely small company running SAP. Any company looking to implement SAP All-in-One, needs to be flexible with process and really look at SAP's best practices. It will make implementation so much easier. After Go-Live 5 years ago, we are finally getting to see more benefits from the system. We did see great improvements with the warehouse management module right away at Go-Live. Our processes improved from day one. "SAP: great for business, but takes getting used to"
A lot of information can be stored for each new lead. Once a new lead is inputted, it's easy to see the life of the lead, from lead status to customer. It's easy to look back in the archives of the lead and see when their last purchase was. There's also options to track what state the lead is in its "lifetime", from lead to design, to complete, or lost. It's not very user friendly. Unless you have someone to show you how to do a specific thing, a lot of clicking around to find what you need is usually how I try to solve my problem. Once a lead has been deleted, even on accident, it's impossible to get it back. Also, certain typical keyboard shortcuts (ie Ctrl+A or Ctrl+Z) have other commands withing SAP, which takes getting used to. Make sure to get proper training. Currently, we're figuring out how to input new leads & have activities pop up to remind certain salesmen of their new leads. We're slowly learning how to use this feature, but it's only able to be utilized if each salesperson has their own unique log-in. My One Stop Shop for Business Needs. What I like about SAP is that it allows me to save all of the T-codes that I use on a daily basis. Just a general guide would be great. A guide that explains each T-code and expression. Where to go to for help would be a good addition in the guide as well. Again, this may be available already. I jam just not sure where to find this information or who to ask about it. The SAP software helps in all aspects of audit. "My One Stop Shop for Business Needs"
I truly appreciated the General Ledger to keep more traditional booking. TO be able to track from Inventory to final billing in one system truly helped manage and track our warehouse more efficiently. Not to mention Payroll is easily managed. If you do not quite understand the logistics of SAP .. you can become quite overwhelmed with all the built in options and how to tailor it to your specific depts. and company. It would be slightly better if the interface was streamlined a bit more. Other than that it is very hard for me to find real dislikes. I use it everyday and very rarely do I get frustrated using it. If you want your company full integrated from Inventory stock to out the door billed and payroll etc. SAP has always been the go to software. This truly has taken the brand to a new level. And your business is better for it. Inventory issues we had. Also, it has helped with immediate billing when clients come in to pick up orders. "Seamless integration with ERP solutions"
The pricing structure for support can drive up cost unexpectedly. Base application often needs extended customisation at huge cost. Audit options are not based on snapshot data but only current data. We use SAP as a contract management system integrated with our procurement system. All our HR requirements are also handled by SAP. "SAP Business All-in-One - Choice for small/medium companies"
SAP business all in one is well suited to streamline business processes and maximize productivity for midsize companies. It is much cheaper, faster and easier compared to traditional SAP ERP. Not well suited for warehousing. Payroll is not part of suite. Need to maintain continuous business process integration between the product and third party products (payroll etc...). This is a good solution. I have nothing to dislike. "SAP is great from an auditing perspective "
From an auditor perspective I always felt SAP was the Cadillac of ERP software. If you wanted to see both sides of a journal entry, all you had to do was double click on an entry. It wasn't until I switched jobs and had a lesser system, did I full realize how good SAP was. Population reports were easily run from which you could select a sample. Most screens contained all the financial, HR, costing, or payroll information you could want. The users I talked to in payroll, A/P, A/R, and finance all liked it from a user perspective as well. Not really that much. Once you learn all of the function commands you are pretty set. Support was also very helpful as well. It is the complete package. Colleagues I worked with liked it from a user perspective. While SAP may be more costly, I think it is worth it. The SAP software helps in all aspects of audit. There is nothing you cannot find out. I can't think of anything that I like about SAP. It's difficult to keep track of purchase requisitions. The approval process generally takes several days and there are many issues. The software is not intuitive. We switched to SAP to be in line with our parent company. The software is outdated. The only benefit is that we use the same software as our parent company. "Great Accounting and Asset Management"
Great tool for AR and AP, Invoicing and inventory management tool. SAP doesn't interface well with other applications. This is a great tool for financials but needs work for customer management or any other business applications. We have been able to manager our inventory for repair and mfg products. This is an ok p doubt who gives you a little bit of flexibility. "I am very satisfied with the technology and way new developments are happening"
SAP has been slow to adopt new technologies earlier that has caused SAP to lose some ground in technologies in SAP CRM. the Fiori apps are very useful and we hope it would decrease the dependency of ABAPers. 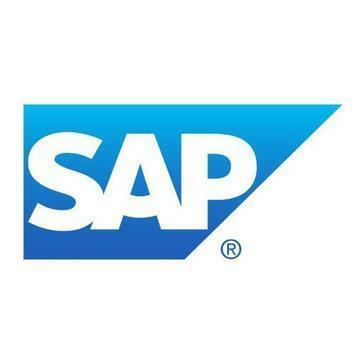 "an ERP bold on CRM"
SAP bought SAP Business One a while ago to penetrate the mid market. Its a different animal to the Big SAP. The CRM functionality is similar to SAP. Lots of tabs to switch through data, and very transactional. Learning about SAP Business All-in-One? * We monitor all SAP Business All-in-One reviews to prevent fraudulent reviews and keep review quality high. We do not post reviews by company employees or direct competitors. Validated reviews require the user to submit a screenshot of the product containing their user ID, in order to verify a user is an actual user of the product. Hi there! Are you looking to implement a solution like SAP Biz AiO?